Our business is not about numbers, it's about people. Our partners get involved in each and every property sale and purchase, and we pride ourselves on offering a truly personal service. The high street is full of estate agents, and we realised early on that to truly stand out from the crowd, we needed to offer something unique and special within this industry. Andrew started his career in Estate Agency in 1992, with an independent agent and latterly worked for a large corporate agent. Having worked in Lanarkshire since 1999, Andrew has an in-depth knowledge of the market in this area, and has enjoyed great success selling large modern developments, plots, property portfolios and individual homes. 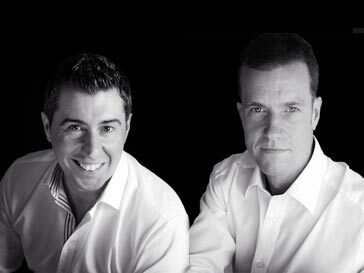 Having developed the "Residence" brand, Andrew and Kevin fully understand the importance of customer care and the demand for a high standard of service you would expect when you are selling your most valuable asset, but appreciate that it is also your home. As a keen sportsman, Andrew brings a winning mentality, fresh passion and enthusiasm to the property market. He has built up many professional relationships and formed many friendships with his clients through his Estate Agency career. Andrew will provide honest advice on everything from presenting your home to the market and conducting viewings to brochure design and marketing. Having worked through two recessions, Andrew knows how important it is to have an agent that is genuinely interested in helping you move. At Residence, we are passionate about making that happen. Andrew spends his spare time with his wife and family, and enjoys watching rugby, playing football and is a keen golfer. Kevin McAllister has worked in the property industry since 1994. He began his career working for a small independent agency before moving through to Fife to work with a large corporate agency. During this time he handled sales covering the East Neuk and and St Andrews before deciding to return to the west coast to take up a position with Clyde property in Hamilton. In 2001 Kevin launched Portfolio Letting which has gone on to become the largest single independent Letting Agent in Lanarkshire with a reputation for handling some of the most prestigious property on offer, he looks to continue this with Residence and is relishing the opportunity to return to his first love Estate Agency where he believes his attention to detail and high standards of customer care will be great assets.